Clean liquid, non-residue, non-ionic additive agent. Water soluble. Mix & rinse with DI water. Removes oil, grease, and dirt. 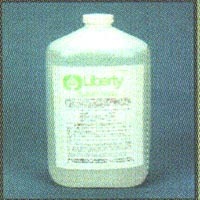 Clean liquid, non-residue, non-ionic additive agent. Water soluble. Mix & rinse with DI water. Features » Removes oil, grease, and dirt from a variety of cleanroom surfaces.